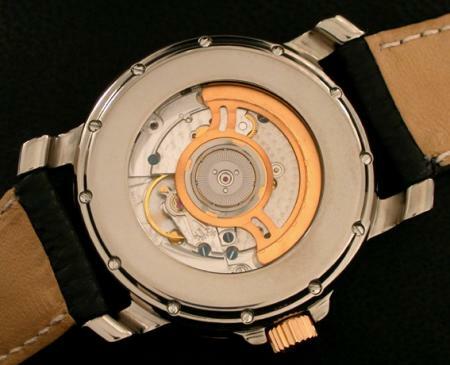 Audemars Piguet, Breguet, Longines, Patek and now, Golay Spierer have produced EOT complications. The Equation Of Time was developed to explain and compensate for the discrepancy between true solar time and mean solar time. The true solar day is the length of time between one local noon, when the sun is highest, and the next. The length of this day is not always 24 hours, as the hours between sunrise and sunset are not always the same. 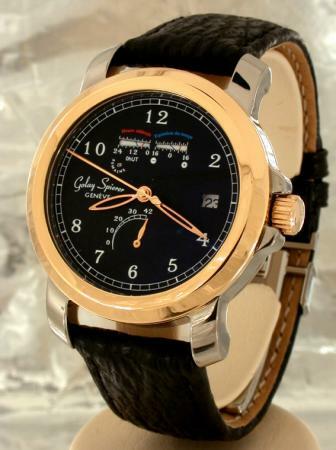 GS’s new model displays the concept of the equation of time, the sidereal time and the jumping week. 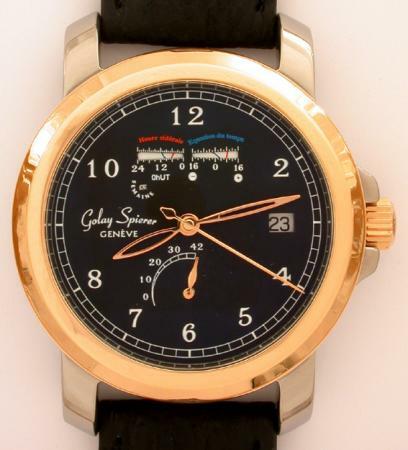 The case is in titanium and red gold, with water resistance of 100 meters. The movement is a modified ETA 2892 with a display back showing the red gold-plated rotor. It has a sapphire crystal, with anti-reflective coating.